Rafael Nadal accused Nick Kyrgios of “lacking respect for the public, the rival and himself” after being defeated by the controversial Australian 3-6 7-6 (7-2) 7-6 (8-6) in the second round of the Mexican Open. 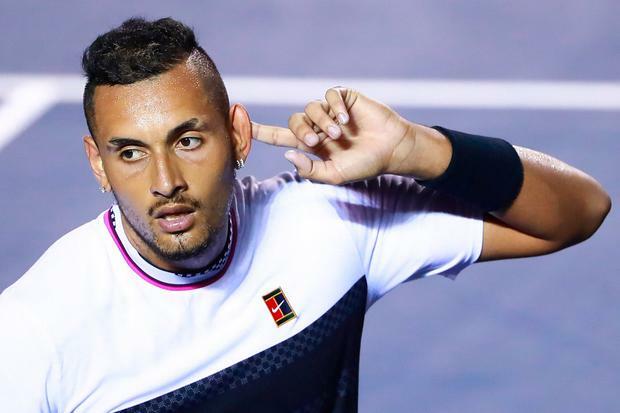 Kyrgios saved three match points during the testing match in Acapulco but enraged the 17-time Grand Slam champion when he began serving underarm late on in the match. “He’s a player who has the talent to win Grand Slams – a player who can fight for the top rankings, but there’s a reason he is where he is,” Nadal said afterwards. He is a very dangerous player but lacks consistency,” Nadal added. The match lasted over thr​ee hours, with Kyrgios crumpling to the ground after claiming the win over the world No 2. “I’m different, Rafa’s different,” Krygios rebuffed.